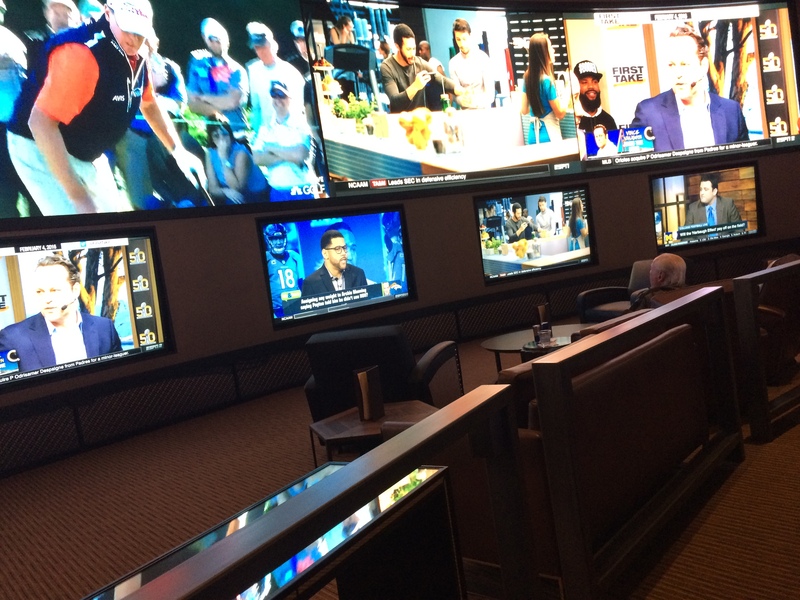 Here are some photos of the recently renovated Cosmopolitan sports book. You can read about the details of the new CG Technology sports book at the Cosmopolitan at Covers.com. 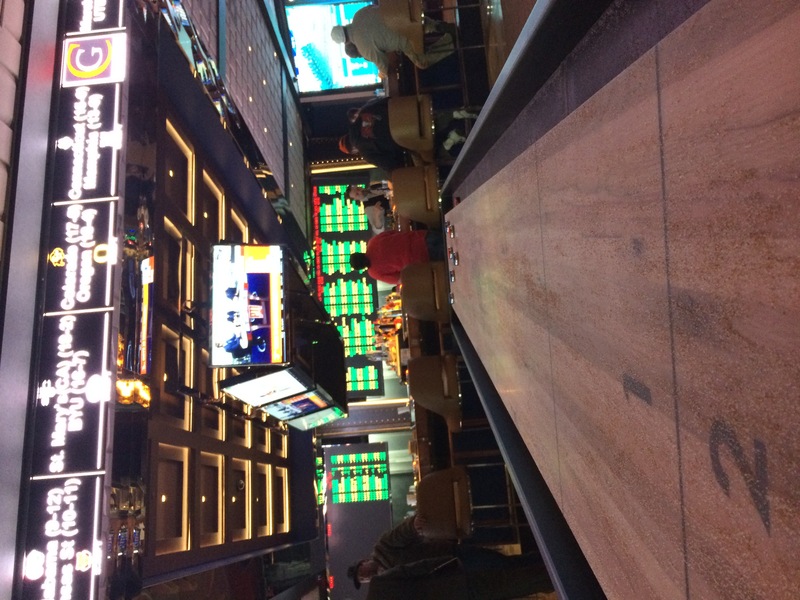 The sports book includes a full bar, blackjack, video poker and bar games like foosball and shuffleboard. If you want to keep up with new photos and news from Vegas you should follow the EDGeVegas Facebook page or my twitter. Big news for sports fans on the Vegas Strip. 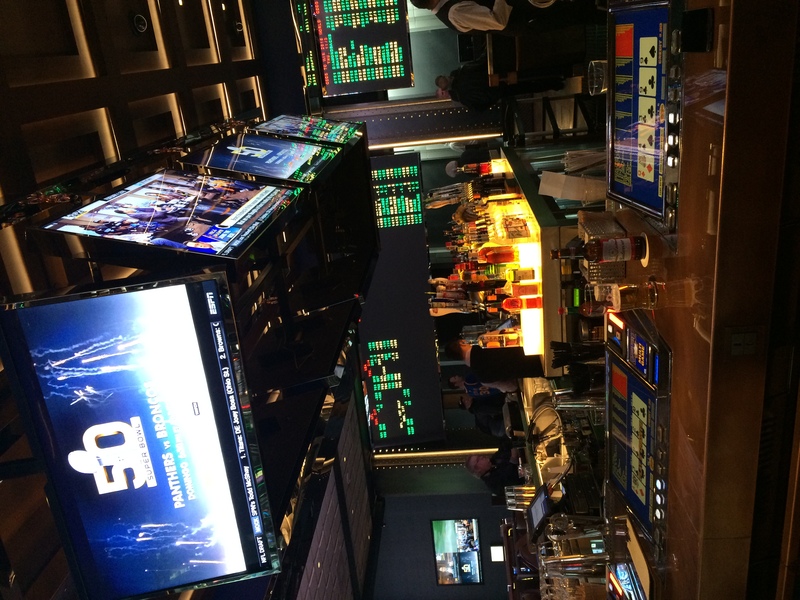 The new Cosmopolitan sports book will open in February just in time for the Super Bowl. 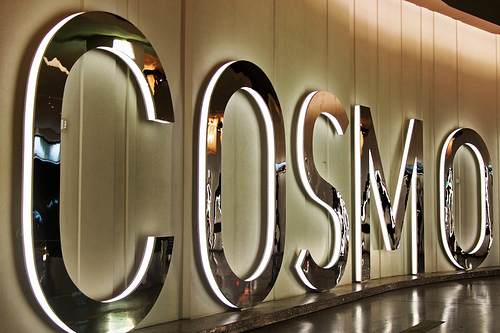 In December, the Cosmopolitan celebrated its 5 year anniversary with a slew of news. Even though the property is finally turning a profit they aren’t resting on their laurels. 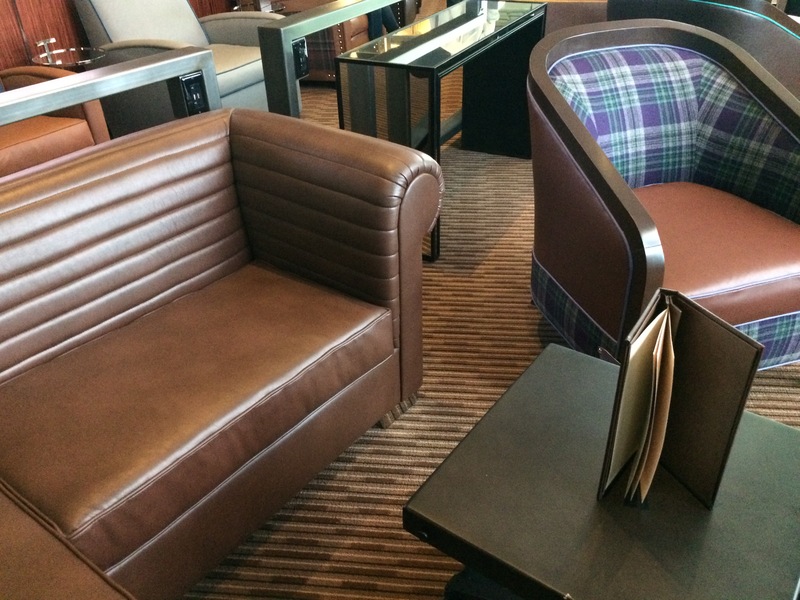 There are major changes at the Cosmopolitan (see complete details at Front Desk Tip). I wouldn’t call the changes a facelift or an overhaul but there is a lot happening at the Cosmopolitan. 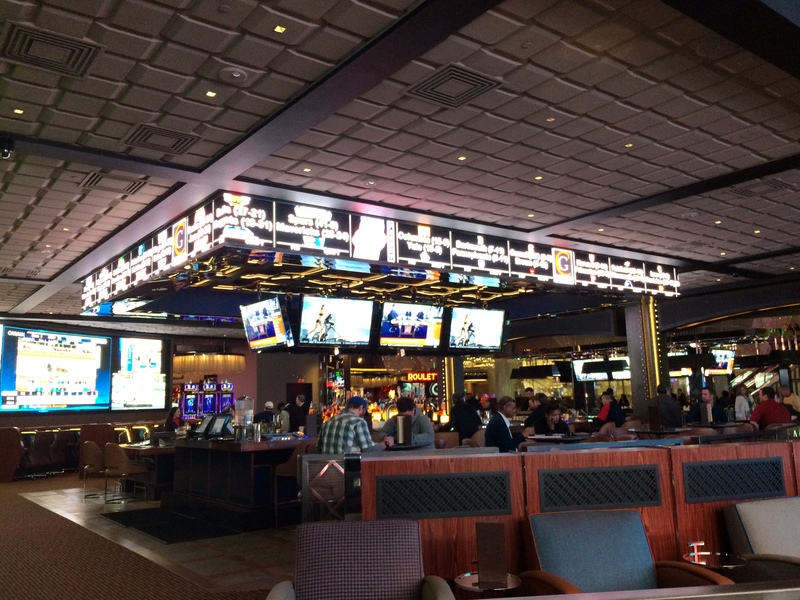 The most exciting change to the casino will take place with their sports book. The least profitable slot machines in the southeast corner of the property have been removed and a brand new sports book is under construction. 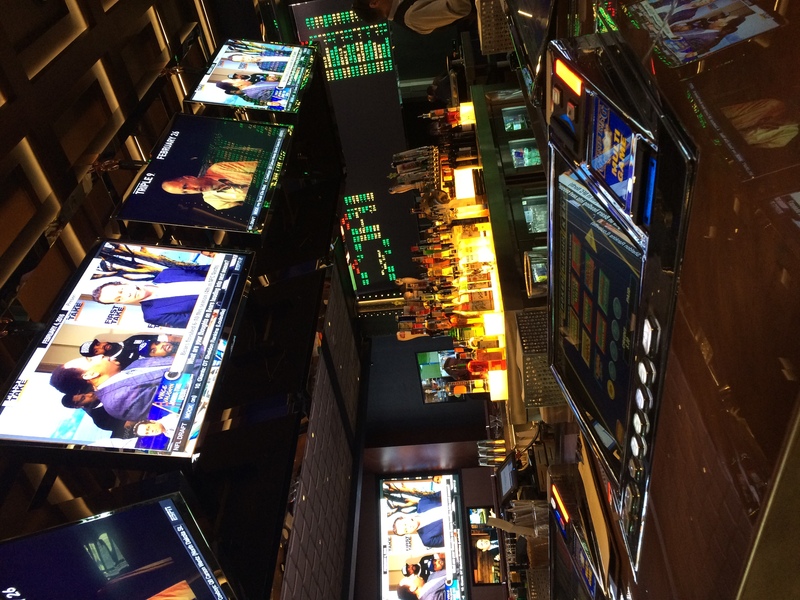 The 8,000 square foot sports book will include 23 video poker machines which McBeath tells the Las Vegas Review-Journal should make more money than the 120 slot machines that once occupied the space. 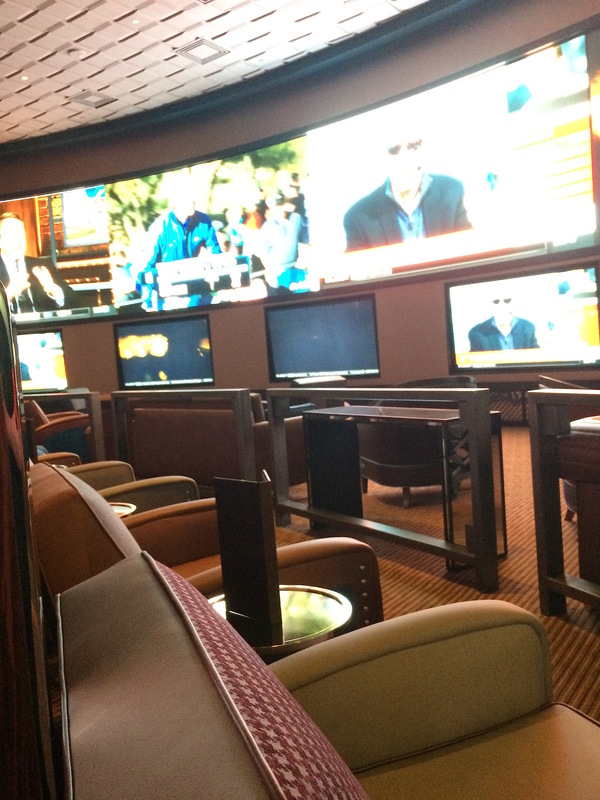 The new sports book will be more than twice the size as the current CG Technology sports book on the second floor. 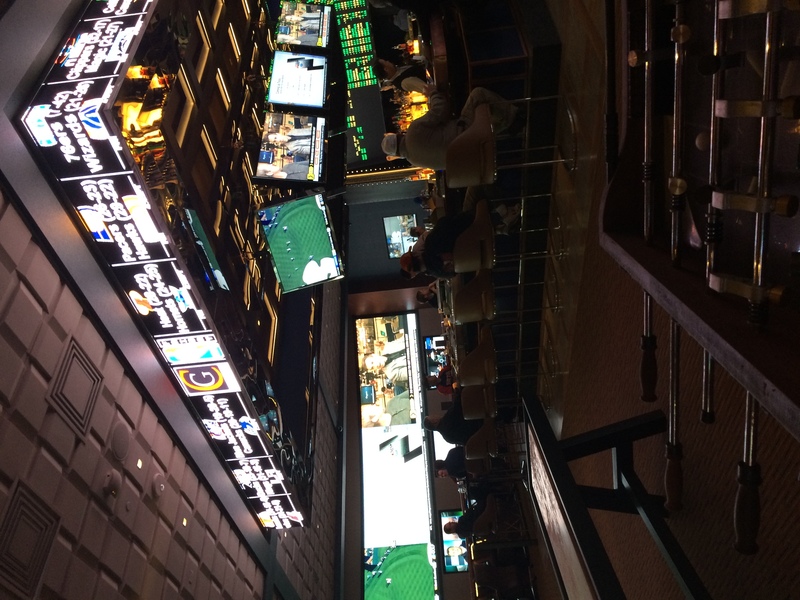 CG will continue to operate the sports book at the Cosmopolitan. 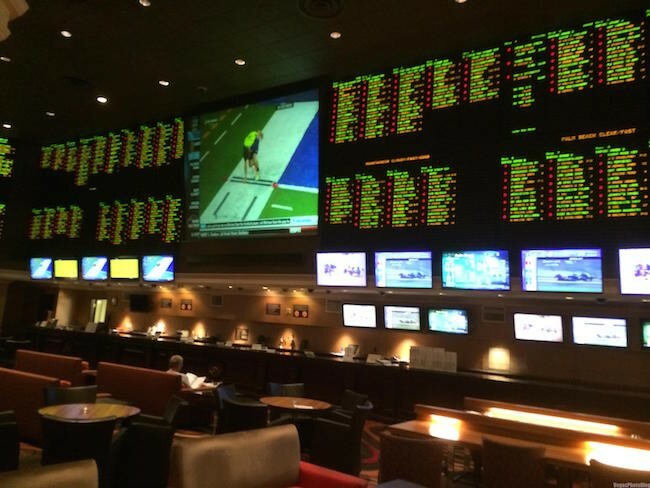 Everything I’ve heard is that this sports book will be similar to a smaller version of The Venetian sports book. It’s easy to think that between the bar with video poker and typically great CG Technology TV screens. 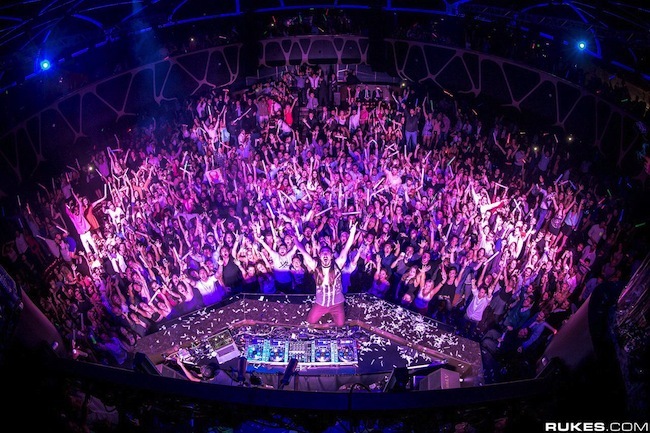 A security breach by Vital Vegas last week showed that there’s still a lot of work to do. I can’t wait to see the finished product. 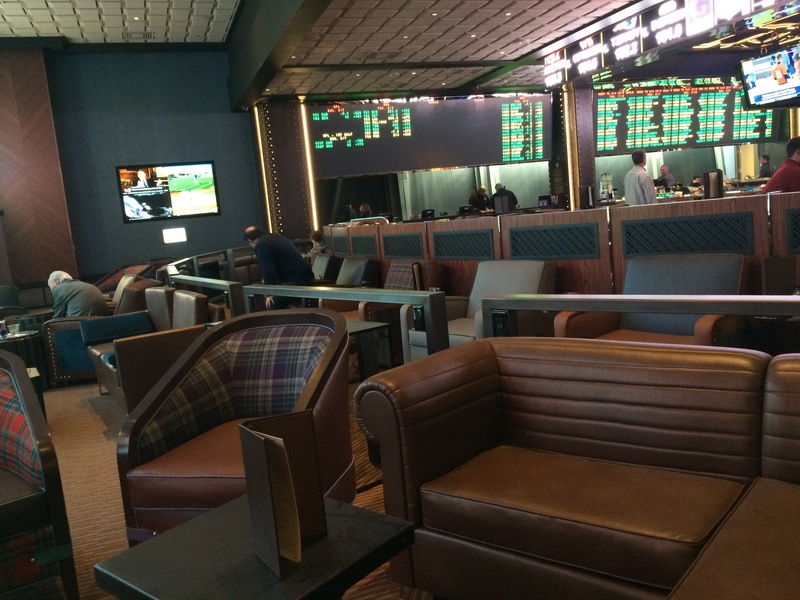 I expect to have more information on the sports book soon. It looks like Cosmopolitan is backing off the Super Bowl opening. Here are more details from a recent email. 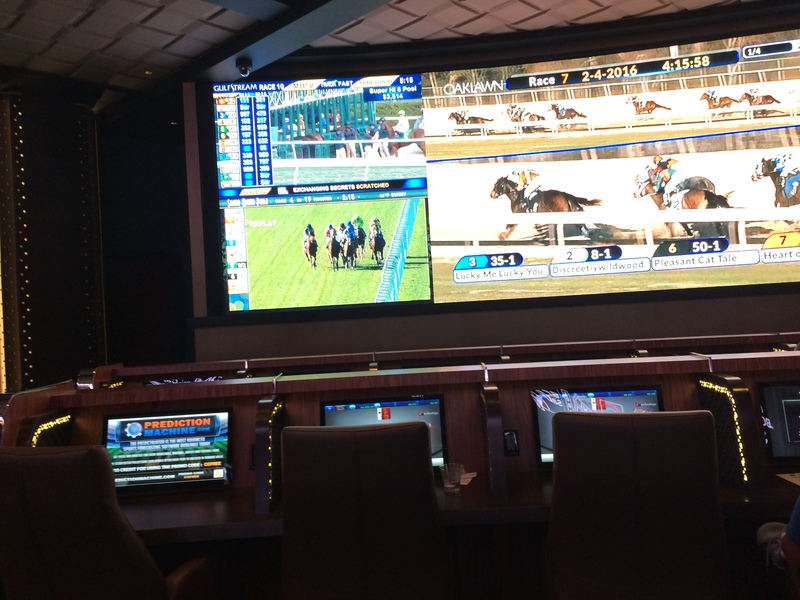 Traditional betting stations and VIP areas where guests can view their own 90-inch high-definition television. 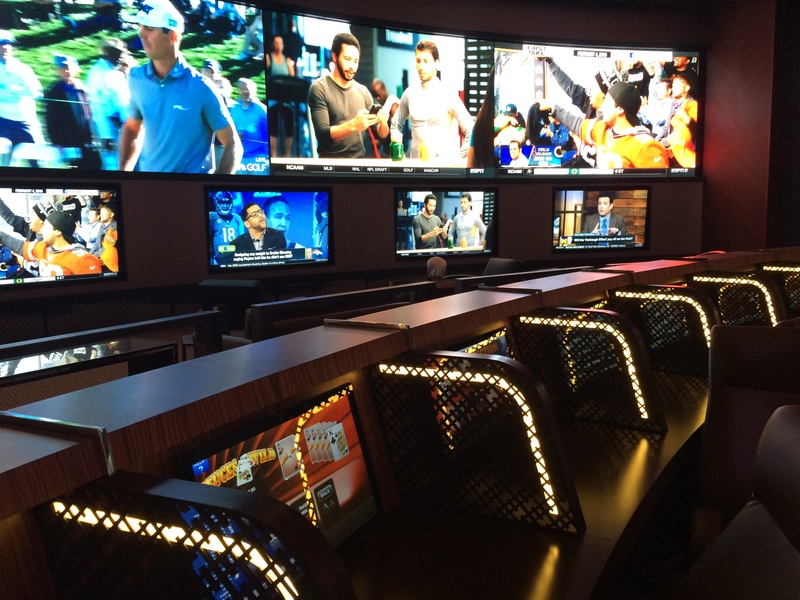 The race and sports bar will anchor the space, featuring video poker and multiple hi-definition televisions showing sporting events. 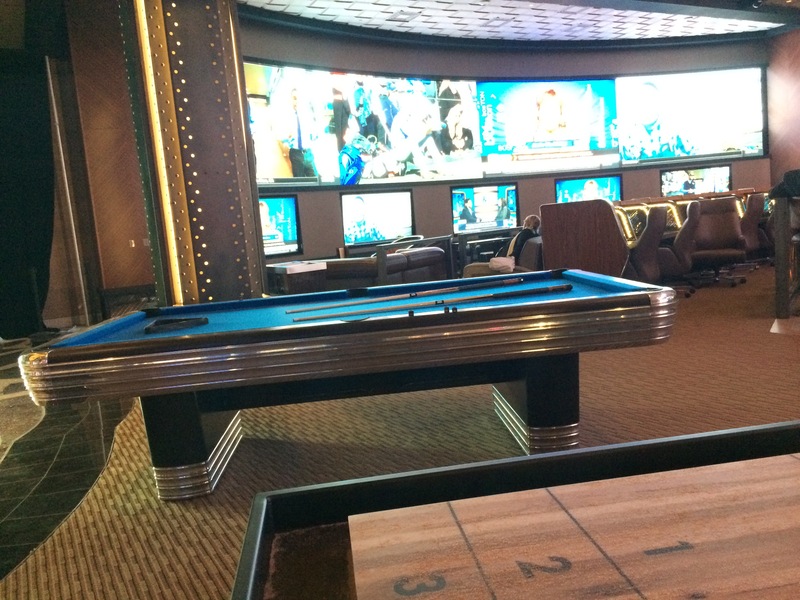 Additionally, a new sports themed table games area will be immediately adjacent to the new book, also featuring hi-definition televisions and direct views of the main LED walls. By now you’ve probably read the rumors and analyst discussion about MGM Resorts selling The Mirage. 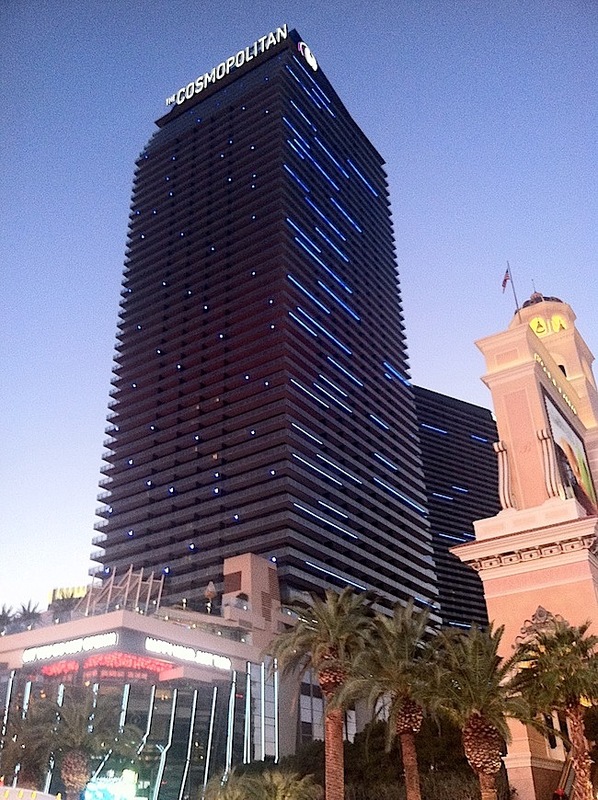 Today MGM Resorts CEO Jim Murren said that The Mirage isn’t on the market. Well, if the rumors about The Mirage already being sold are true than he’s not lying. It’s not on the market. My source that says the The Mirage has been sold also says that they will have a new hotel partner once they’re no longer be a part of M Life, MGM Resorts’ players club. It’s rumored that Marriott will be the hotel partner for The Mirage once the sale goes through. 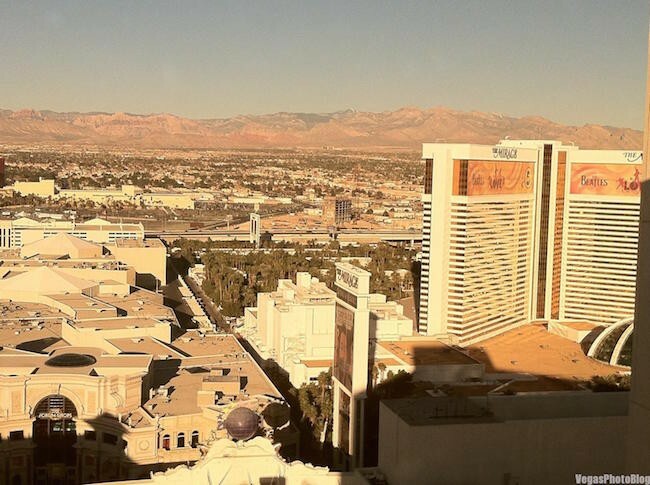 It’s difficult to be an independent hotel-casino operator on the Vegas Strip so Starwood Capital Group is taking steps to bring in a partner to help fill the hotel. Marriott was just voted the #1 national hotel chain rewards program by US News and World Report. Starwood is also rumored to bringing in Paragon Gaming to operate the casino. Paragon currently operates the Westgate casino and used to operate the Riviera casino. Marriott is currently the hotel partner for Cosmopolitan but it’s been rumor for while that the relationship will end soon since Blackstone, owners of Cosmo, also owns Hilton. You can see the press release for MGM Resorts’ quarterly earnings here. Rumors are all over the place with Monte Carlo heading deep into construction of The Park. This park-like area will be located between Monte Carlo and New York-New York leading to the new arena that’s scheduled to open next year. Vegas Eater says that the Blue Man Group Theater will be closing and becoming a larger theater to be used as a concert hall. Now comes rumor (on the Five Hundy By Midnight Podcast) that the Monte Carlo sportsbook will be closing and moving into The Pub. 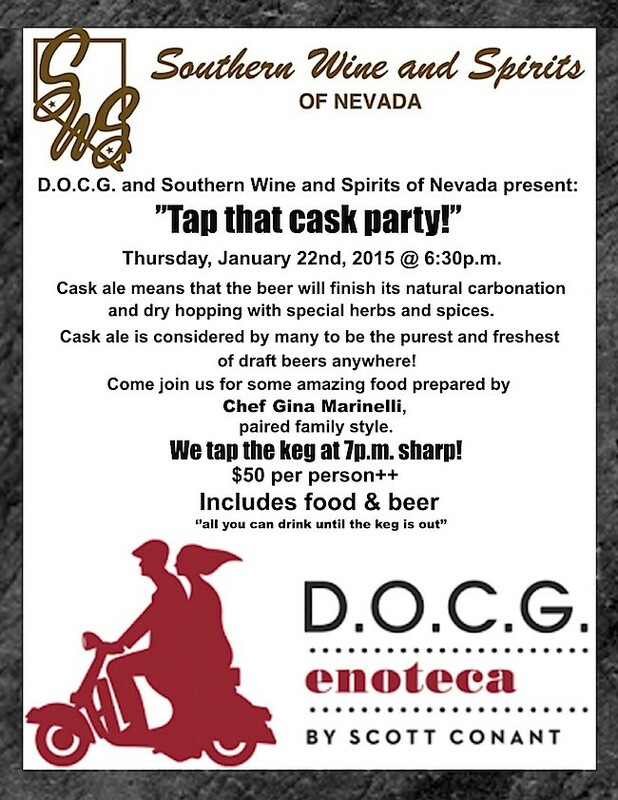 This would make The Pub more of a sports lounge and closer to what you see at Bellagio and The Mirage. 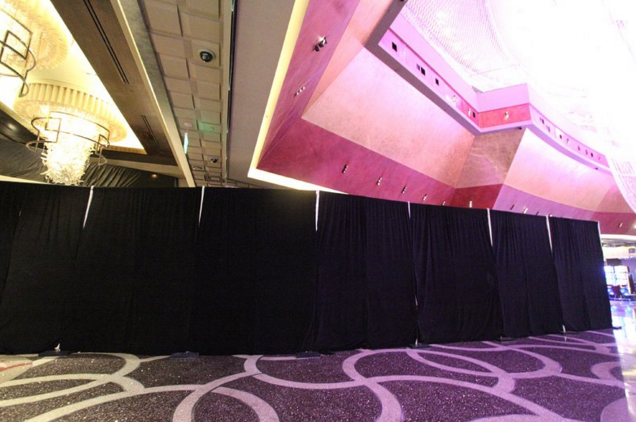 If this rumor is true it wouldn’t be surprising to see the poker room also close and move. 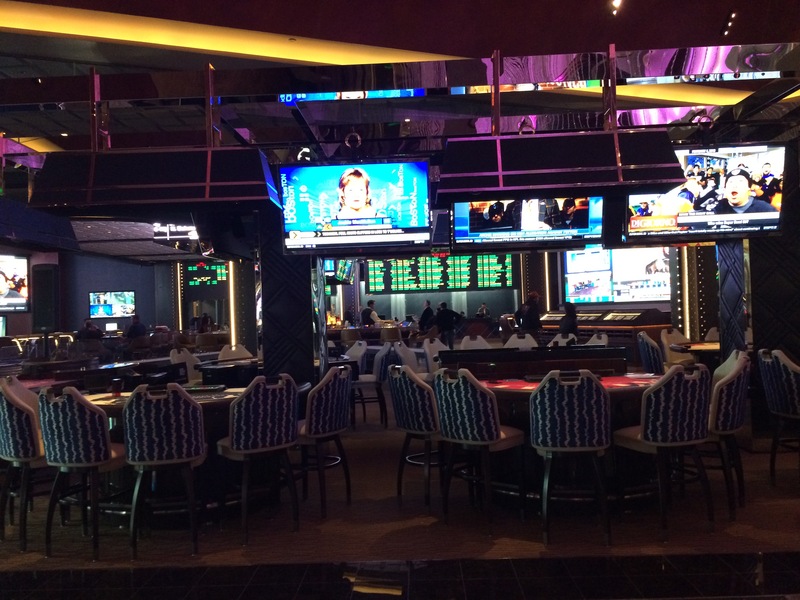 The sportsbook and poker room occupy the same side of the casino so it might make sense to see both shuttered to make way for the planned restaurants and bars. Possibility: Both make sense and sound logical. Last month I wrote about the rumor that Cosmopolitan may be getting a poker room on Vegas Chatter. 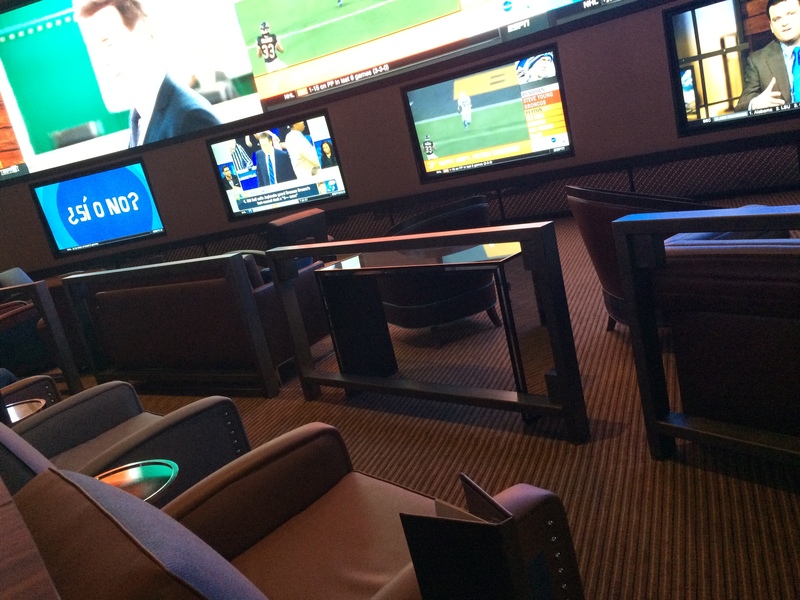 That still hasn’t come to fruition but there’s another rumor about their tiny CG Technology sportsbook. Word is that the sportsbook will be moving from the second floor to the first floor with the other casino gaming. I reached out to a CG Technology rep on twitter and didn’t receive a response like I have every other question I’ve asked. Possibility: Not sure the majority of customers would care about either. I could make a case for both but I can also see bean counters not caring about such a small piece of gaming revenue (about 2%-3% total). Rumors are a hit and miss proposition. Sometimes they’re true and sometimes they’re not. The success rate I’ve had with rumors that make sense is about 50%. If that holds true here then we should see two of the rumors mentioned above come true. Time will tell as construction is progressing at Monte Carlo and Cosmo is quietly making changes to their property. Here are the 5 most viewed posts on Edge Vegas in 2014. The only thing that’s really surprising is #5. Thanks for reading and sharing!